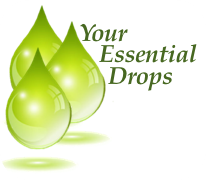 Your Essential Drops. Your source for all things oily. My journey with essential oils has been nothing short of amazing! Check out the information on Essential oils, blends, and supplements. Your Essential Oil journey begins here! Seasonal “Bugs” Getting You Down? Concerned about those nasty seasonal bugs that run around and nab us when we least expect it? Perhaps a cold, flu, or something else? I have been too, so I’ve been using essential oils to get and stay healthy and to discourage other nasty bugs from invading my personal space. Here are a few of the essential oils I’ve been using. The holidays are upon us! This year add some Essential Oil gifts to your gift giving list. The Complete Book of Essential Oils and Aromatherapy is an awesome resource! This book is a great way to educate your friends and family about essential oils. Give the gift of health and wellness to those special people on your holiday shopping list. 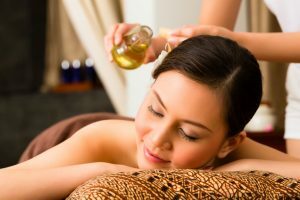 There are a number of popular essential oils. Some of my favorites are Frankincense, Copaiba, and Peppermint. It is difficult to choose favorites though because each essential oil is unique and useful in its own way. Learn more here. A combination of essential oils for a specific purpose is referred to as an essential oil blend. Breathe®, onGuard®, and Deep Blue® are well known blends but there are others too. Learn more about them here. 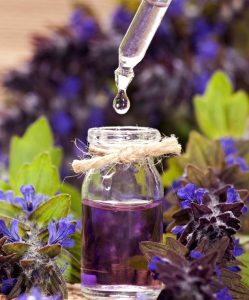 You can use individual oils in various ways and you can also combine them to make blends for specific uses. Feel free to try some or all of the essential oil recipes in this collection. doTerra’s® AromaTouch combines the essential oils of Cypress, Peppermint, Marjoram, Basil, Grapefruit, and Lavender in a blend that adds many important benefits to various massage techniques. Not all oils come in liquid form; some are encapsulated in pill form. doTerra’s® Lifelong Vitality Pack® is packed full of essential nutrients, and powerful antioxidants blended to offer metabolism benefits, promote energy, health, and lifelong vitality. Hey.. wasn’t sure how long it takes for these essential oils to work.. my blood pressure at 3pm was 132 but still under the recommended area(limit) so wasn’t worried but I thought I’d try the oils. I just sat down…and thought just for fun to see if my blood pressure had changed.. I only swallowed that capsule less then an hour ago… but my blood pressure was 111 over 79! Thanks for exploring my website. Are you intrigued? Interested? Great! To learn more about essential oils, please contact me! NOTE: Statements regarding doTERRA® essential oils have not been evaluated by the FDA. The product used or purchased is not intended to diagnose or treat any disease. All materials provided are for your information only and may not be construed as medical advice or instruction. All other personal experiences and testimonials are personal in nature an should be taken as such. Hey! Thanks for visiting my website! Who am I? Just a regular person who uses essential oils in daily life to combat “bugs,” boost immunity, feel great and hopefully live a long and healthy life! I’ve had lots of interesting, positive, and amazing experiences with essential oils and I hope you will too! After my initial experiences with essential oils I decided to take the plunge and become a doTerra® Wellness Advocate. In my opinion, doTerra oils® are second to none! Their quality assurance standards are exceptional and I like that – a lot! But that’s just the beginning. Check out the Resources Page for more information on why I choose to use doTerra® essential oils. The doTerra® experience is location independent. I can help you anywhere in the United States. Just reach out with the Contact Us form and we can connect via E-mail, or Phone! 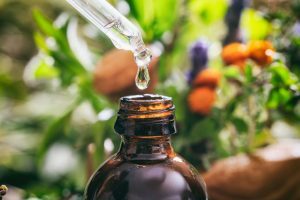 This website is a source of information about essential oils, how they can be used, and personal experiences from people who have had positive experiences and success using essential oils for life long health and vitality. Feel free to browse through the information here. If you like what you read, feel free to contact me. We can discuss the doTerra® products and experience. If it’s a fit for you, we can discuss how you too can purchase doTerra® products for your personal use. There’s no pressure to become a Wellness Advocate. You can just begin as a Wholesale Client. Whatever works. The choice is yours. Your essential oil journey begins here! All words with trademark or registered trademark symbols, other than Prospera Unlimited and Prospera Unlimited, LLC, are trademarks or registered trademarks of dōTERRA Holdings, LLC.